Samsung Unpacked 2015 Event; Watch the Full Video Coverage Here ! I was very busy last week to the extent that I missed the Samsung Unpacked 2015 live stream but fortunately for me, later while checking Samsung's official YouTube channel, I stumbled on the full video of the unpacked event and I really enjoyed watching it. On the 13th of August, 2015, Samsung announced their new Galaxy S6 edge+ and the Galaxy Note 5 at their Unpacked 2015 event. But just in case you missed the live stream just the way I missed it, you can watch the entire 44 minute video coverage here. 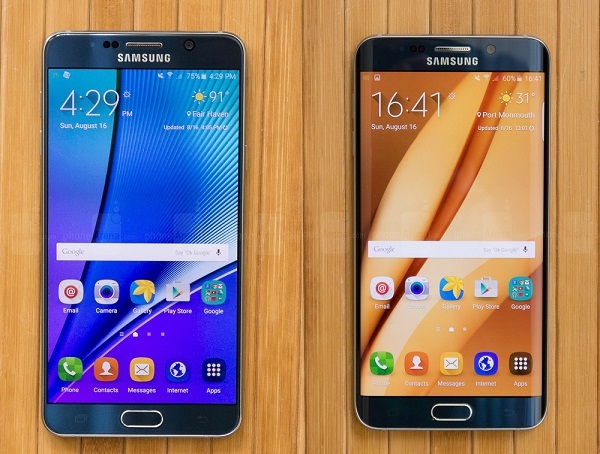 The Galaxy S6 edge+ and the Galaxy Note 5 are Samsung's latest big screen smartphone. The S6 edge+ is literally just a bigger version of the S6 edge, with a 5.7-inch dual edge QHD display, 4GB RAM, and a 3000mAh battery with fast wireless charging. The Note5 meanwhile has a traditional display with the same size and resolution but comes with a new S Pen and improved software features. Watch out for our upcoming review, specs, features, price and full details of these new Smartphones. Better still, if you find it difficult to spare 44 minutes out of your time to watch this video, here is another very short video of the event, just a bit less than 2 minutes and it's highlighting the most important scenes from the event. Enjoy ! What do you think about the 2015 Samsung Galaxy unpacked event ? Hope you enjoyed watching the videos. As you can see in the concluding part of the video, there is something big coming around the corner to Samsung lovers - Gear S2, some of our upcoming posts will surely talk about it. Also, stay tuned as we bring you the review, specs, features and price details of the S6 edge+ and Note 5. Cheers !! !